One of the things you write in to ask me about most often is distilling hydrosols and essential oils at home, so when I sat down to start writing my first course for you this past winter (I'll include more info about it at the end of the post - I have a question for you regarding it), I knew I wanted to include a whole module about distillation. Inspiring you to become more involved in your use of plant products by growing and harvesting and distilling them at home and supporting your local farmers is one of my main goals because if more of us were doing that, we'd collectively be taking a huge step in the realm of plant-use sustainability. Plus, gardening and distilling plants are both really fun and there's no better way to really foster a deeper connection to your homemade medicine than to be completely involved in the entire process yourself. Now that our garden is flourishing in the sunshine-filled days, my drying racks are constantly full (I think I need to ask Jon to build more), and my refrigerator is filling up with fresh hydrosols and essential oils. 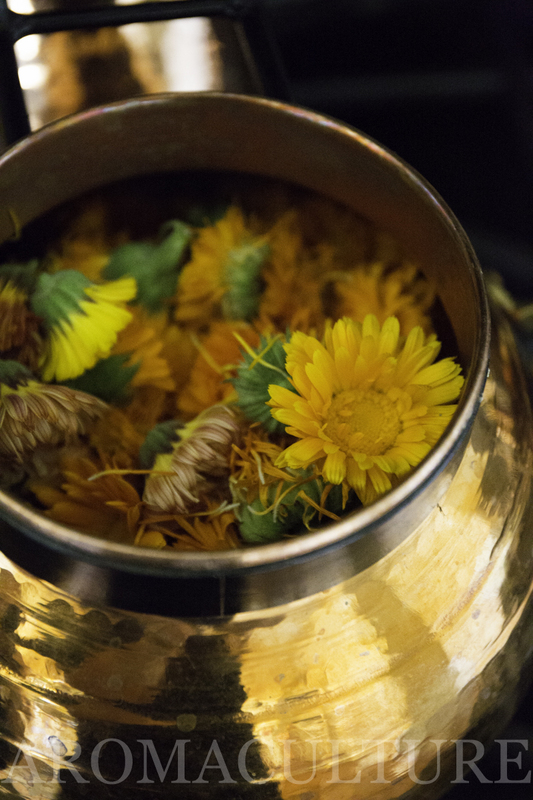 I recently distilled one of my favorite garden darlings, Calendula, so I thought I'd give you a behind-the-scenes glimpse at the distillation process today. Distillation is not difficult. 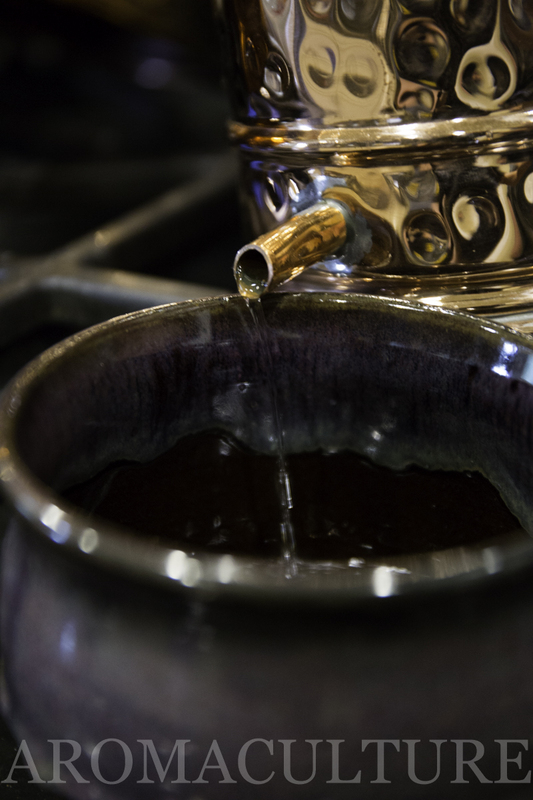 It's a very simple process and as long as you have a few tools and enough plant material to fill your still, you can very easily distill hydrosols and essential oils at home. I have two different stills right now and, for this post, I'll be showing you the smaller still. It’s a gorgeous 3 liter flip-top column copper alembic that I purchased from Copper Brothers. (You can see the exact still I purchased - the one pictured in the photos in this article - if you click here; not an affiliate link.) Copper Brothers is a company in Portugal that makes handmade artisan stills that are lead-free and I’ve fallen in love with the craftsmanship of their products and their great customer service. Their stills are affordable and the shipping is reasonable and quick (mine arrived in 3-4 business days - I couldn't believe how fast it was!). The thing I really love about this still (I've named it Mozart) is that it's the perfect size for stove-top distillations, which are quick, easy, and require very minimal cleanup compared to runs with the larger stills. 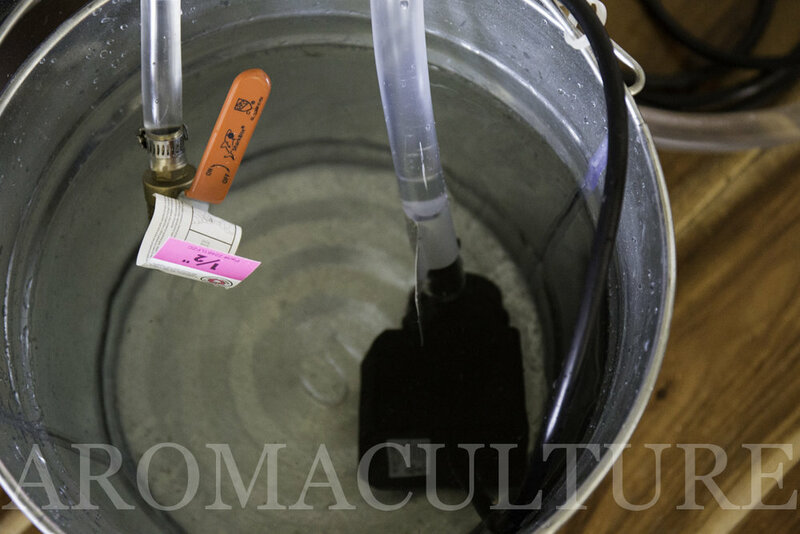 It also doesn't require a massive amount of plant material to produce a quart of hydrosol, as you'll see. So I love it because it makes distillation easy, quick, and accessible for people who may not have a massive garden, space to grow a lot of one crop, or a larger budget for a still. When distilling, it's very important to use a clean still and sterile utensils and such. The first thing I like to do after making sure everything's clean for a fresh run is fill the base of the still about 2/3 with pure water and get it on the stove before I go out to harvest the plant. This way, by the time I come back in, the water's already boiling and the still is ready to go. Whilst the water is heating (uncovered), I'll head out to the garden to harvest. 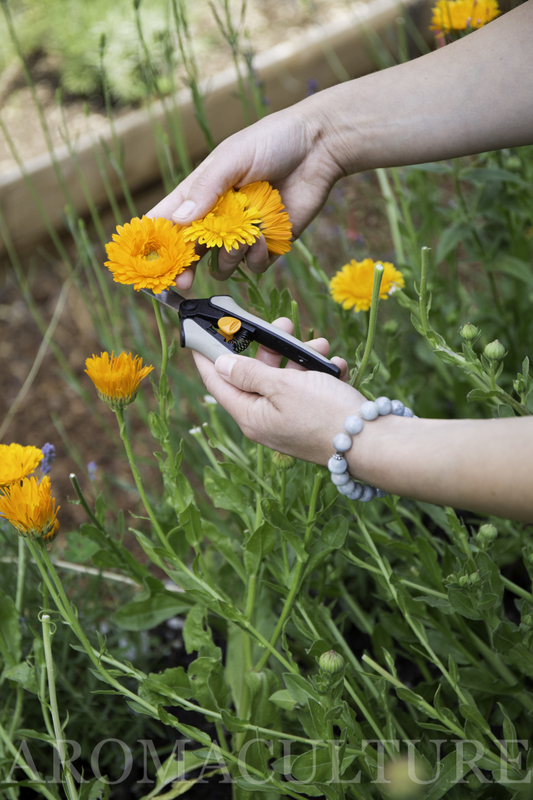 Most plants should be harvested early in the day, especially aromatic flowers, which means that you'll probably be distilling early in the day as well, but Calendula is one of the plants that can be harvested later in the day too. 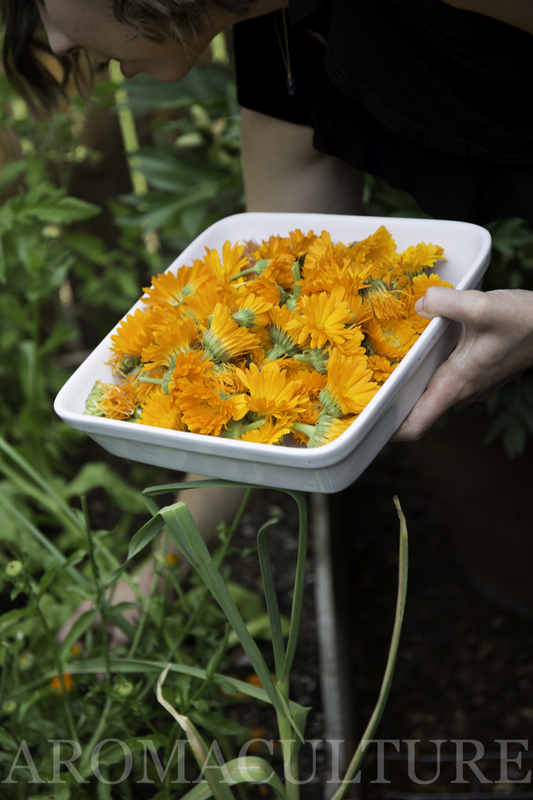 I quickly filled up my dish with Calendula blossoms and that was plenty enough to fill the base of Mozart the baby still with cheery little blooms. So as you can see, when distilling for hydrosols, especially, you can get a good amount of exceptional product without needing to have a massive amount of plant material. Once the water started boiling, I placed my freshly harvested blooms into the still with the water and used a wooden spatula to make sure all of the plant material was covered. Then I secured the hat (sometimes called the onion - the top of the still) to the base and connected the condenser (the unit shown to the right of the still in the picture below). For this run, you'll see below that I hydro-distilled the Calendula without the column. I like distilling this way when I'm mainly after hydrosols. My still doesn't have any steam-leaks when I distill without the column (many do), so I love that I don't have to seal it with rye flour! It makes for an even quicker cleanup process. The water shown flowing into the condenser in this photo never touches the hydrosol or the essential oil. It's kept separate in its own contained space and it's used to keep the condensing unit cool. The steam that carries the essential oil and hydrosol up out of the still and into the condenser is very hot and needs to cool and condense back down into a liquid, so cool water is pumped through the condenser to help facilitate the process. The hydrosol and essential oil travel through the coil inside the condenser and cool down before exiting the still through the spout shown below. People use different methods to keep their condenser water flowing, but one of the most common is to use a little pond pump like this one. For my smaller still, I fill up a leak-proof bucket with cool water and use this pond pump to keep the water cool throughout the distillation process. It's so efficient, helps save water because a continuous source of water isn't needed when you use this method, and the water in the bucket can be used in the garden when I'm finished. It's a great setup! My small still usually gives me a yield of about one quart of hydrosol in under an hour, which is a terrific yield for a quick run with a small batch of plant material like this. Cleanup is quick and easy once the still has cooled and the plant material from inside the still can be added to the compost. 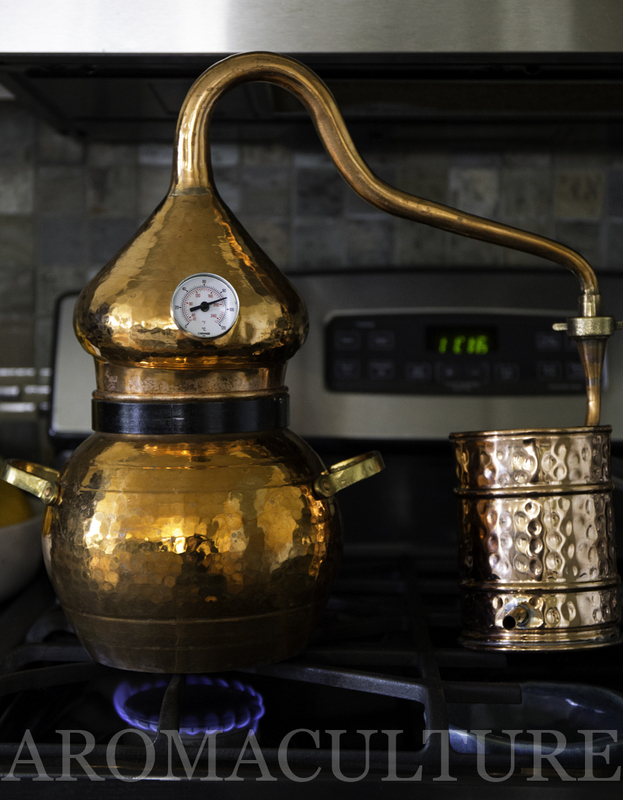 If you've been hoping to learn more about distillation, make sure you're signed up for our email newsletter list because I'll be sending out an update when the course containing the distillation module opens for enrollment. I go into a lot more detail inside the distillation module of the course and I cover distillation with the larger stills as part of the course series as well. I recently completed writing the rough draft of the course series I started working on for you this past winter (it's longer than a book!) and as I sit down to rewrite and edit everything and get it looking pretty and ready to share with you, it's really important to me that I make sure I've included information about the things that you feel you need most right now to take your skill to the next level. I've made sure to include lots of information about the things many of you write in to ask me about most often, but I also wanted to check in with you personally to make sure I didn't miss anything. If you could take a couple of minutes to answer the questions I've uploaded here, I would really appreciate it! 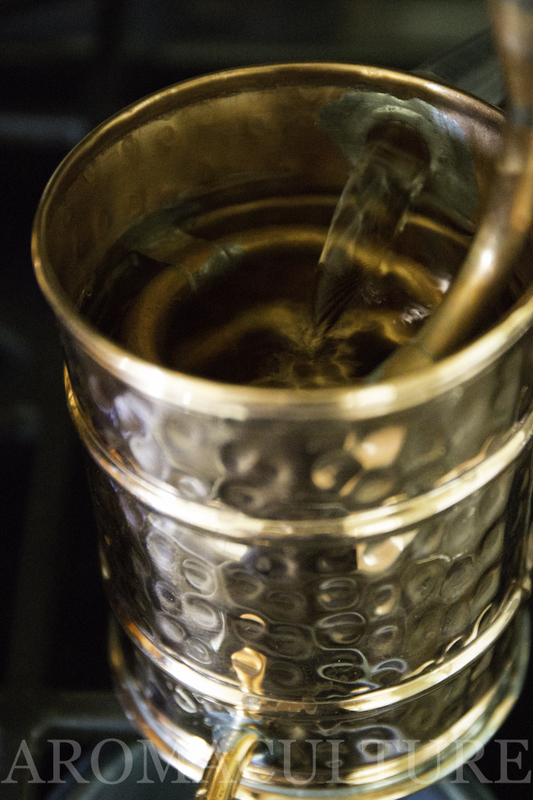 What is the first thing you want to distill when you are able to add a still to your apothecary toolbox?